Last year Netflix scored a social media and pop culture juggernaut with 13 Reasons Why, with the teen series becoming the show most tweeted about in 2017. But there was some concern going into the second season, starting with the first season ending where Jay Asher's book does, as well. There wasn't supposed to be more to the story of Hannah Baker (Katherine Langford), but her tale is apparently unfinished because the controversial character is coming back. The latest trailer starts off with a note that launches the newest mystery: "Hannah wasn't the only one." 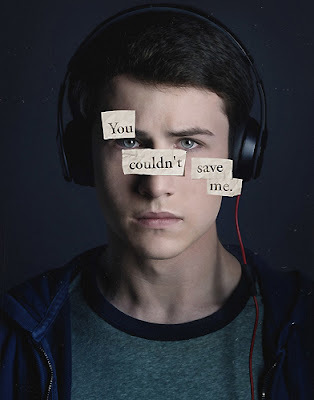 Dylan Minnette returns as Clay Jensen, with the series following him as he continues his quest for answers surrounding Hannah Baker's suicide, uncovering a much deeper conspiracy in the process. Sounds like the plot of a Bourne movie, not a high school drama about bullying and self-harm. Expect events from the first season to be re-examined in ways that reveal them to be different than we thought. Here is the synopsis: Season 2 picks up in the aftermath of Hannah’s death and the start of our characters’ complicated journeys toward healing and recovery. Liberty High prepares to go on trial, but someone will stop at nothing to keep the truth surrounding Hannah’s death concealed. A series of ominous polaroids lead Clay and his classmates to uncover a sickening secret and a conspiracy to cover it up. Netflix will release 13 Reasons Why's second season on May 18th.